According to eur usd analysis, “Head & shoulders” reversal pattern with the target in the area of 1.3691 has been completely formed. At the moment there is a possibility that the descending pattern will be formed. One can try to buy the pair only after the channel is broken. 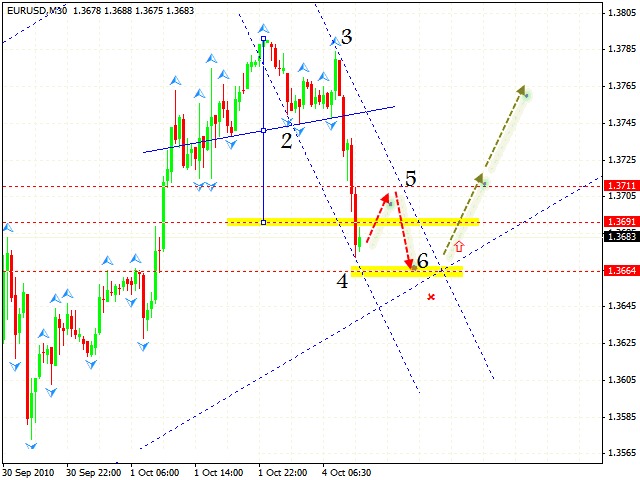 We should expect the price to move to the level of 1.3711, and then – to the target of 1.3664. Pound is still in the rising channel. 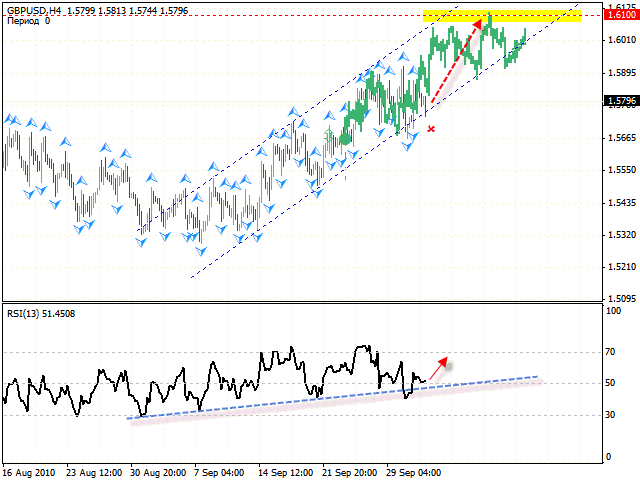 At the RSI forex indicator the trend’s rising line has been falsely broken. 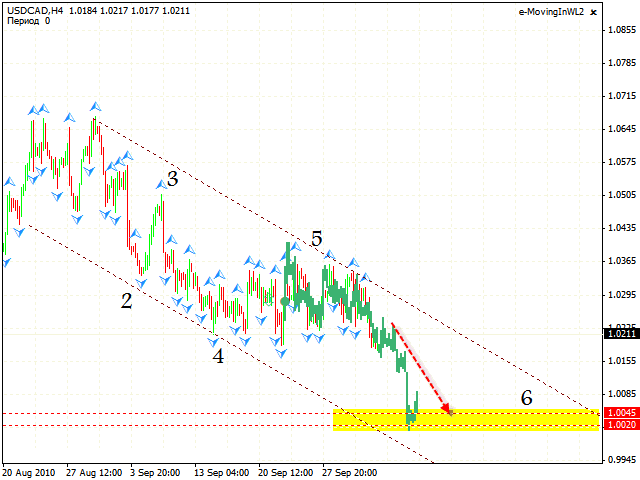 Judging by technical analysis gbp usd, you can try to buy the pair with the target in the area of 1.6100. The stop must be below 1.5725. 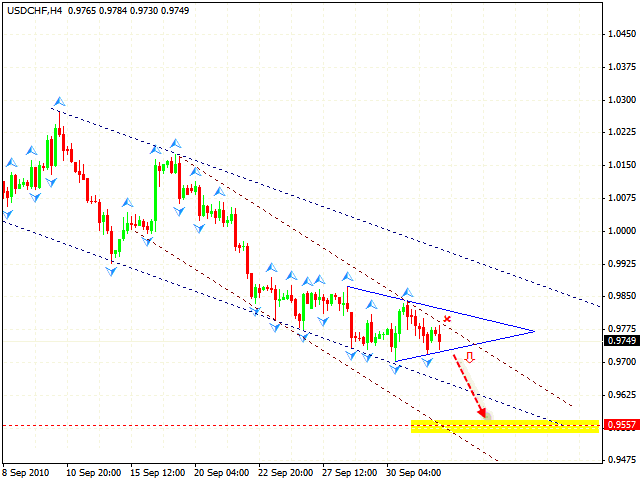 In case of the USD/CHF currency pair we have “triangle” pattern forming for technical analysis. When the “triangle” is broken, one can try to sell the pair with the target in the area of 0.9557, according to usd chf analysis.The stop must be above 0.9780. As an alternative, one should consider the test of the channel’s upper side followed by reaching new local minimum. Usd cad analysis shows, that Canadian Dollar has finally managed to break the “triangle” downwards, but has not reached the specified targets. At the moment we can see the formation of the descending pattern and one should consider selling the pair with the target in the area of 1.0045-1.0020.